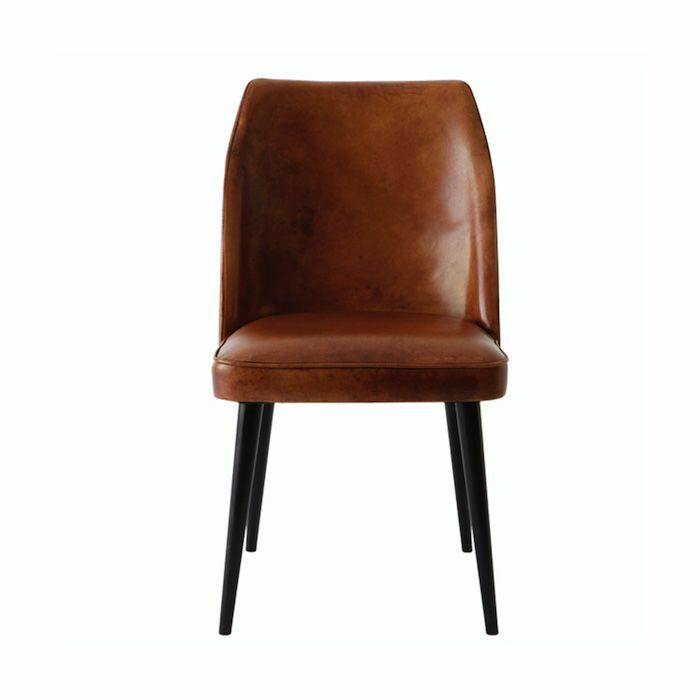 Modern Dining Chair with curved back upholstered in buffalo leather from Italy. This dining chair is made of wood with a velvet seat. Modern Dining Chair with arms upholstered in buffalo leather from Italy.